Course Synopsis: Preliminaries revision of differentiation and integration; Techniques of integration infinite series; Vectors and analytical geometry in space (differential geometry). Vector valued functions. Multivariable functions and partial derivatives. Multiple integrals and integration in vector fields. Partial derivatives; Equations of First Partial Derivatives. Goals: This course aims at providing students with some advanced topics in undergraduate calculus and fundamental concepts of partial differentiation and P.D.E of second order. It is assured that a student who has done Certificate Level papers in mathematics will be able to study this course. Download PDF Syllabus Of "Calculus and Analytical Geometry"
7.6 Wave equations and heat equations and their solutions (Chapter II, Section 11.1, 11.2, 11.4, 11.5). Erwin and Kreyszig. 8th edition, John-Wiley Publications. Thomas and Fenns: Calculus and Analytical Geometry, 9th Edition, 2004. (Thomas, Jr. G. B., and Finney, Ross L. Publisher: Pearson Education Pvt. Ltd.
Kreyszig, Erwin, Advanced Engineering Mathematics, John- Wiley & Sons (1991). 5th Edition. E.W. Swokowski, Calculus with Analytical Geometry, Second Alter Edition. Sneddan Ian- Elements of Partial Differential Equations. 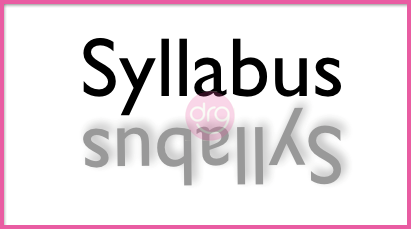 0 Response to "Syllabus of Calculus and Analytical Geometry | MTH-104 | BSc CSIT | First Semester | TU"